A patriotic organization that strives to preserve our cultural heritage, Jane Douglas NSDAR manages the Continental DAR House at Fair Park. 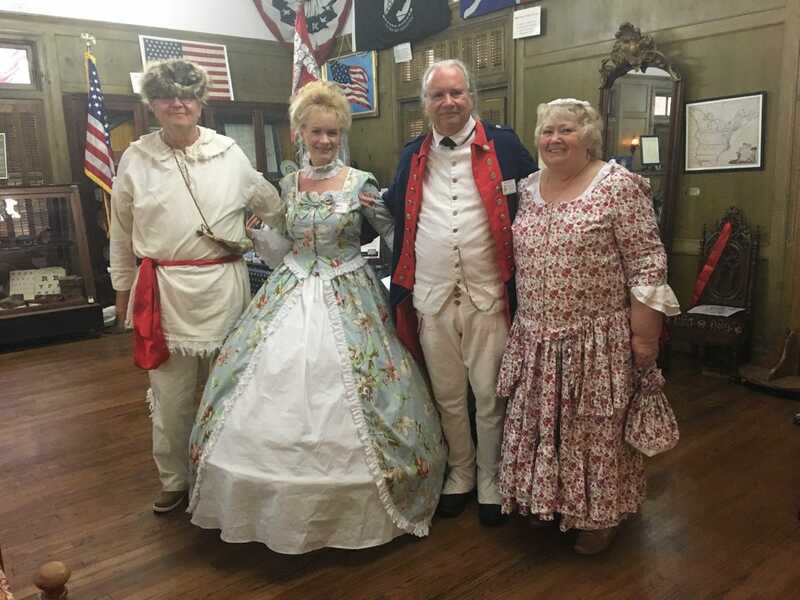 Cedar Hill resident Linda Martin is Regent of Jane Douglas National Society of Daughters of the American Revolution Chapter. Linda Martin has been a member of Jane Douglas NSDAR since 2009. Her mother and daughter are also members of the chapter. Jane Douglas NSDAR was organized in 1895 by Cornelia Jamison Henry, wife of John Lane Henry, a district attorney, state senator, mayor of East Dallas and associate justice of the Texas Supreme Court. It was named for Jane Douglas, the mother of Mrs. Lane’s patriot ancestor, William Downs. Jane Douglas Chapter currently has 272 active members and 25 associate members. “I have served as Service to Veterans Committee Chair, Project Patriot Committee Chair, Commemorative Events Committee Chair, Corresponding Secretary and Vice Regent,” Linda says. “I’m also serving as State Vice Chair for District III for the Service to America Committee,” she says. Continental Oil Company built the Continental DAR House as a hospitality house in Fair Park in 1936 for the Texas Centennial. It was graciously deeded to the Jane Douglas Chapter in 1937 at the conclusion of the Pan-American Exposition. Preservation of this historic building is of the utmost importance as the House welcomes over 44,000 guests during the State Fair of Texas. The Elizabeth Wright Library, housed in the Continental DAR House, contains more than two thousand catalogued genealogical reference books. Continental DAR House retains the integrity of its original design and is a reflection of the Exposition era. 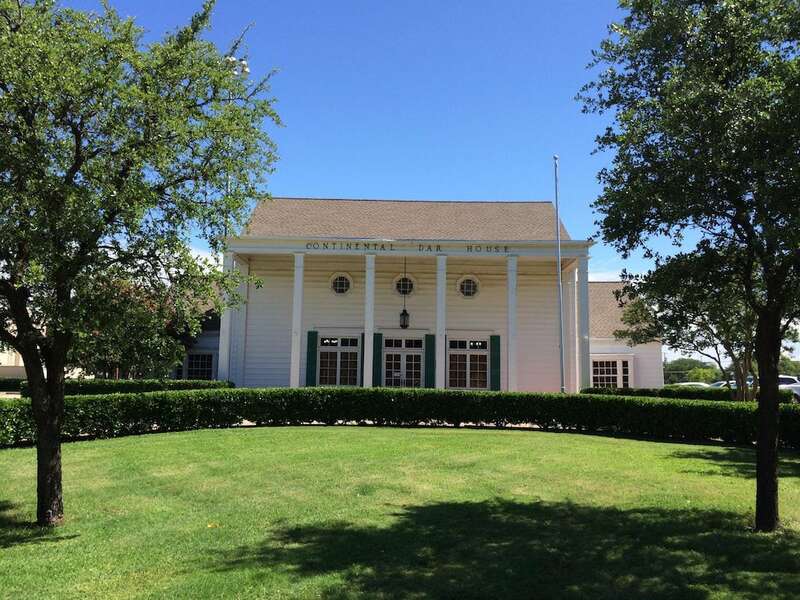 Fair Park was designated a National Historic Landmark in 1986. “It was also a time for our chapter members to understand the sacrifices Americans made during the War and to honor the DAR members who selflessly and tirelessly dedicated themselves to the war relief effort,” Martin said. The exhibit included over 200 items of WWI weaponry, military uniforms and helmets from both Axis and Allied powers, as well as numerous photographs, letters and bulletins from the War. The latter were sourced from scrapbooks from the NSDAR archives, as well as loans from the DAR Museum. The 2018 State Fair of Texas exhibit in the Continental DAR House is “Our Founding Fathers.” It will focus on George Washington, John Adams, Thomas Jefferson, James Madison, Alexander Hamilton, Benjamin Franklin, James Monroe, John Jay, Patrick Henry, John Hancock and Thomas Paine. 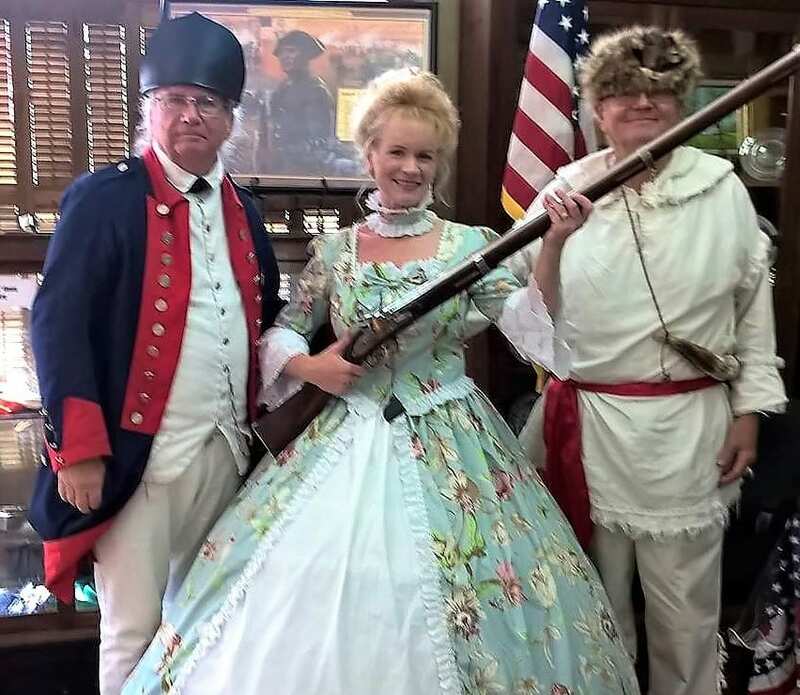 Previous years saw exhibits such as “Pistols, Petticoats and Spies” in 2016, featuring an eye-catching array of petticoats like those believed to be used as signals by Anna Smith Strong, Culpepper Spy Ring member. Over fifty pistols from the early 1900s to the present day were also displayed. An American Indian Heritage exhibit in 2014 displayed artwork by many Native American artists, as well as information about the military service of Native Americans. Native American veterans were honored by the Jane Douglas Chapter on opening day of the State Fair. The 2012 exhibit at the DAR House honored the 100th anniversary of the Girl Scouts, featuring memorabilia dating back to 1930. Jane Douglas NSDAR holds four-six crafting sessions during the summer to work on items to sell during the State Fair. Proceeds from the sale of these items help with the maintenance of the Continental DAR House. “There is usually a team of ten volunteers each day and a Day Coordinator to make sure all runs smoothly. 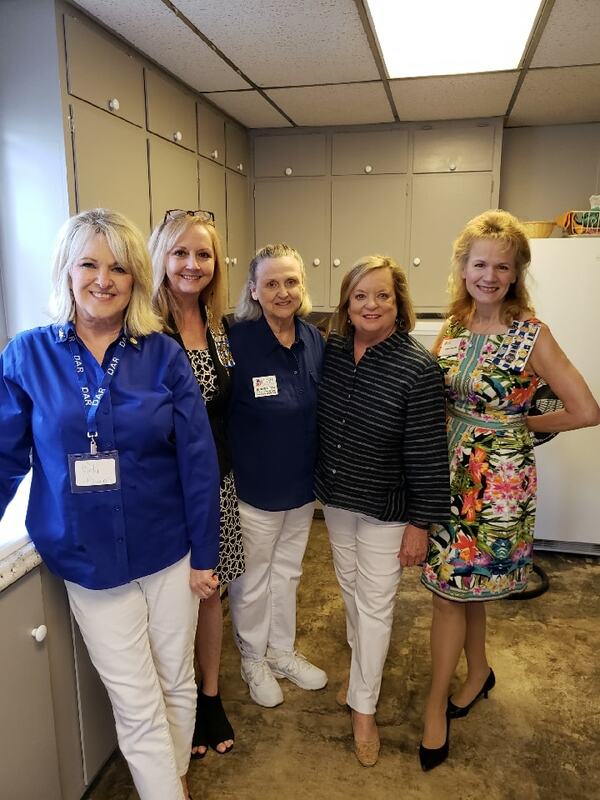 Joining us at the State Fair are numerous members from other TXDAR chapters, and a wonderful pianist who entertains everyone with familiar American tunes,” she said. Cold bottled water, sodas and candy bars are also available for a nominal fee at the DAR House during the State Fair of Texas. These features make them a popular oasis for tired, thirsty fair-goers who can also be entertained and educated free of charge while there. The 2018 State Fair of Texas opens September 28 and runs through October 21. For updated information about tickets, special packages, entertainment and exhibits, visit www.bigtex.com.